Disclosure: This is a sponsored post on behalf of Royal Design Studio, but all opinions are honest and my own. This post may include affiliate links. Read my full disclosure policy here. I have a fun painting project to share with you today that would be perfect for family Christmas photos. I love the new stencil collection from Jennifer Rizzo, a fellow blogger, because they have a vintage vibe and can be layered to create lots of different looks. 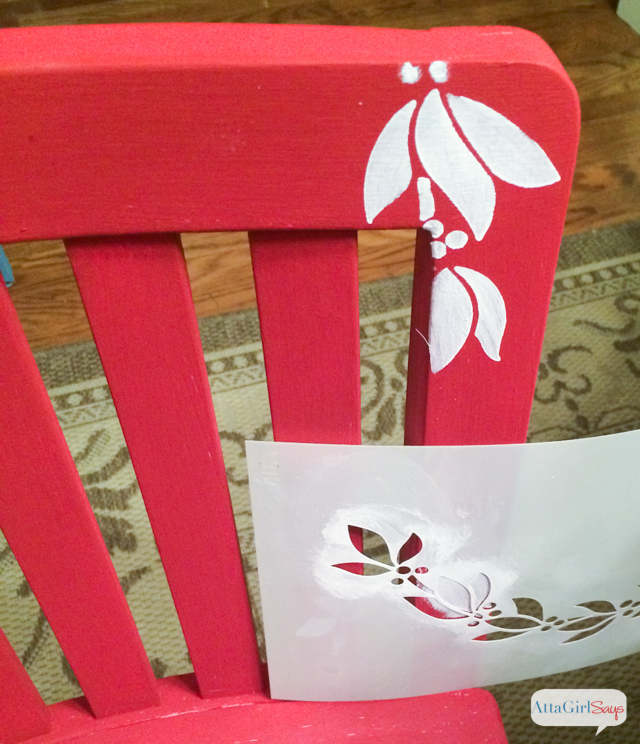 I used the Holiday Garland Christmas Stencil and the Classic Letters Christmas Stencil for my chair. 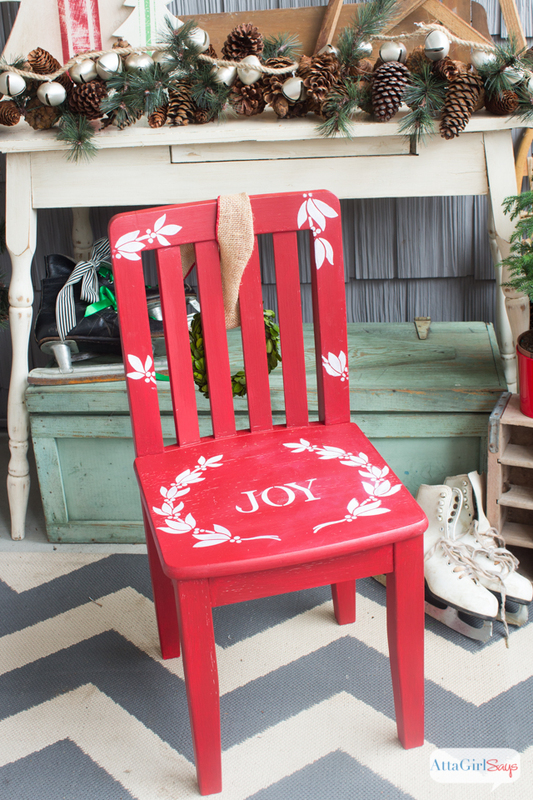 I used DecoArt Americana Chalky Finish Paint in Rouge, which is a gorgeous holiday red. For the stenciled part, I used white craft paint. And I finished the chair with a coat of DecoArt Americana Creme Wax. 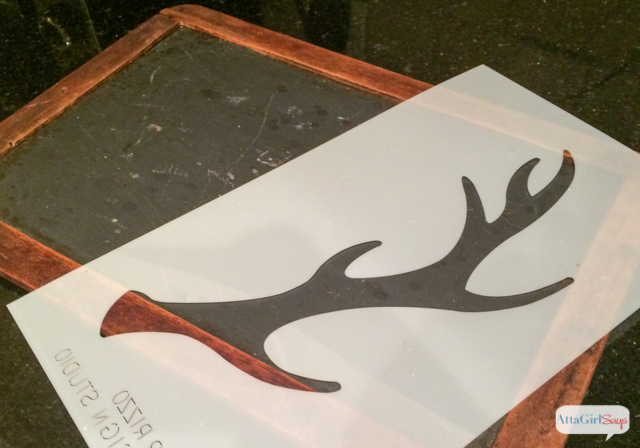 Use a stencil adhesive to hold your stencil in place. Don’t overload your brush with paint. Stenciling is really dry brushing. Before I touch the brush to my project, I will dab it on my palette first to remove most of the paint. Before the paint has dried, carefully remove the stencil to prevent bleeding. 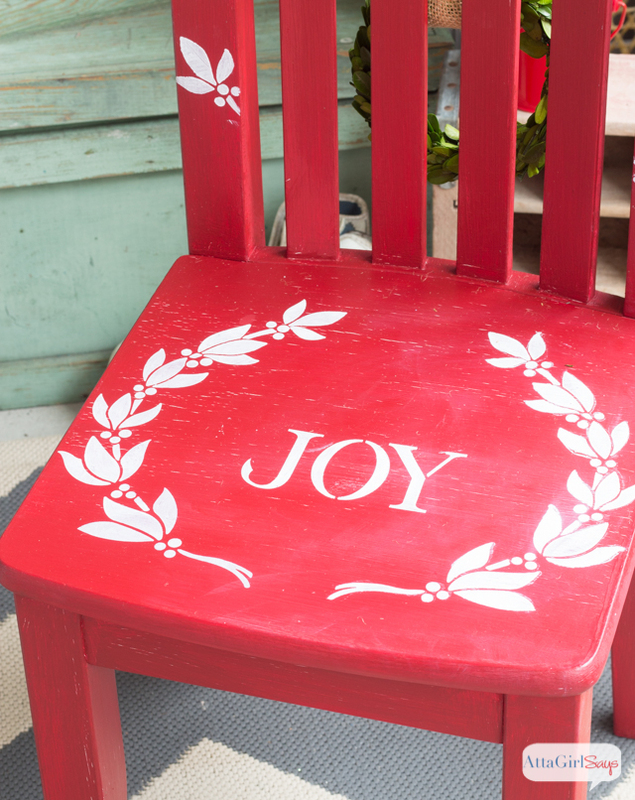 As you can see, I stenciled the chair seat with garland, then added the word Joy to the center using the Christmas Letter Stencil. 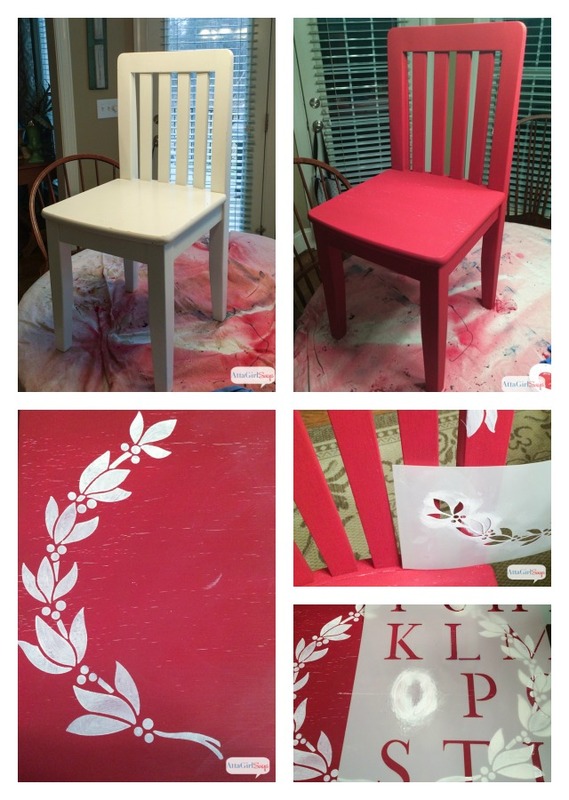 I also randomly stenciled leaves and berries on the back of the chair. This is where the stencil adhesive really came in handy. It held the stencil securely to the chair, leaving my hands free to paint. I’m really delighted with how this chair turned out. I can imagine it becoming a family keepsake, something we bring out year after year for photos. I also loved all the Christmas stencils from Jennifer Rizzo. 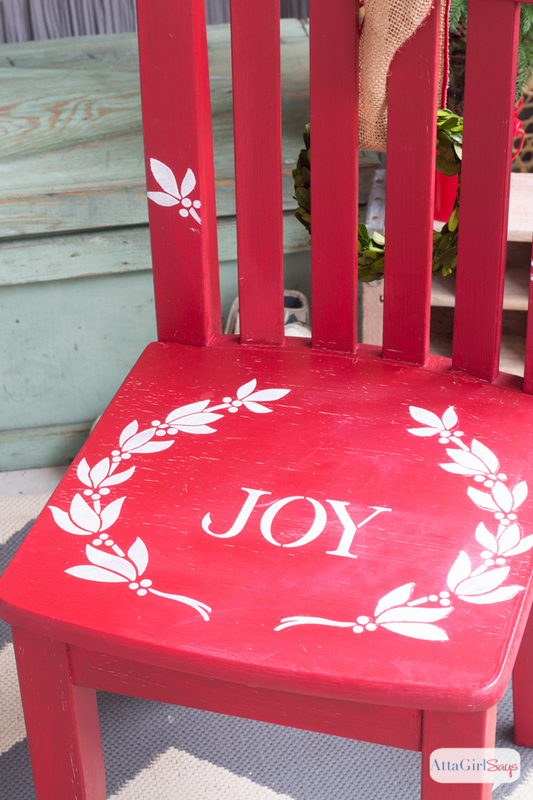 As I unveil more of my holiday home tour, I’ll be sharing more projects using her stencils and inspired by her new book, Creatively Christmas. If you’re a fan of Jennifer’s blog and her annual Holiday Housewalk Christmas tour, you will love her book. 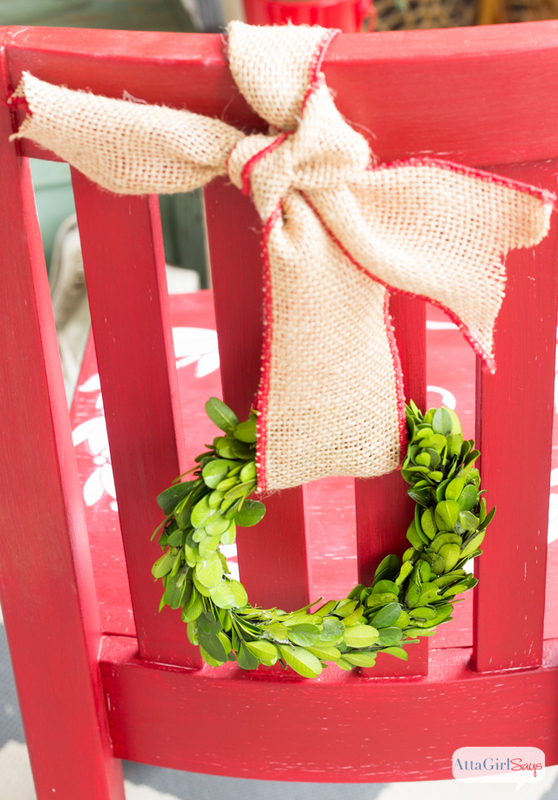 It’s full of gorgeous vintage Christmas inspiration and handmade holiday projects. 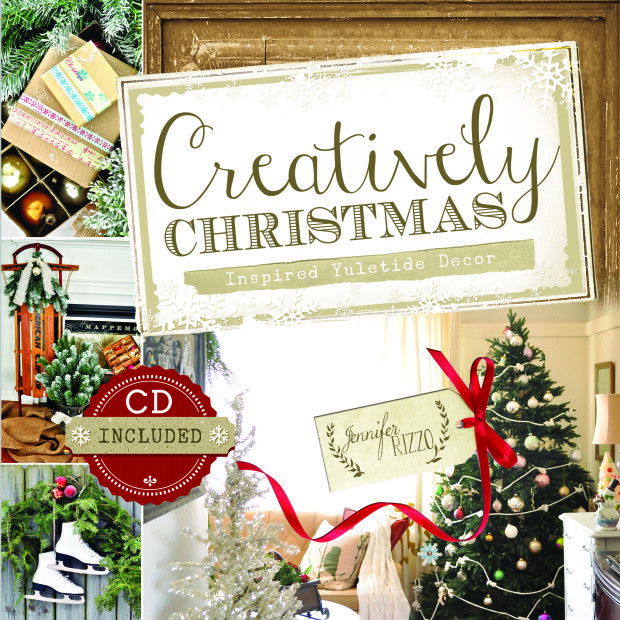 Give yourself a copy of Creatively Christmas as an early Christmas gift. So cute! Can definitely see this stenciled chair in photos, dining room, and entry! 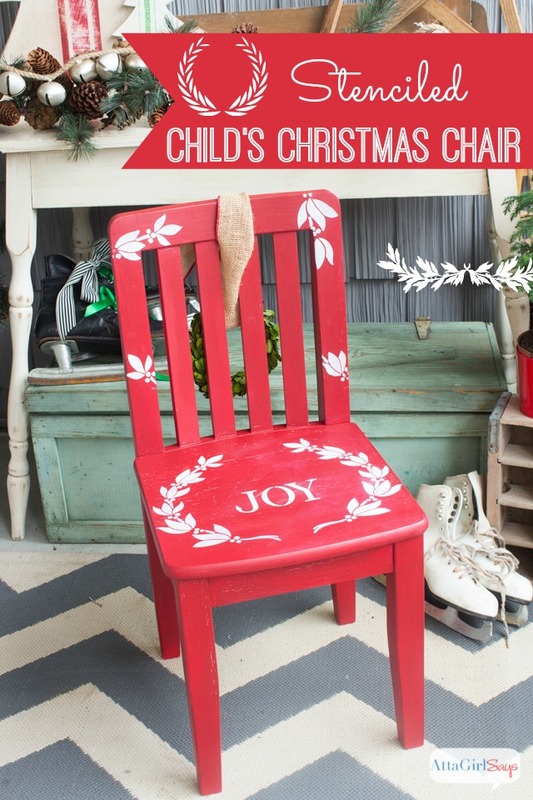 Thank you for reviewing our Jennifer Rizzo Christmas Stencil Collection! Thanks so much! I love working with Royal Design Studio. So many gorgeous stencils to choose from. Happy holidays.